At Micfo, I am a software developer on the Automation Team. We are a private cloud provider that provisions custom-built dedicated servers and virtual machines. My team’s job is to automate that process. Technology has always been a passion of mine. From a young age, I taught myself how to build webpages and create graphics. I was always begging my parents for the latest and greatest tech. I think what I love most about it now is that it is always changing. I love seeing new innovations that change the way we think or how something is done. I have worked in technology for 3 years. Throughout my time in school, I interned at different tech companies. I graduated in May of 2017 and I have been with my current company, Micfo, ever since. I ended up choosing pre-med for my undergraduate major because I never realized the number of options and potential a computer science degree would have. Shortly after graduating, I moved to Charleston and began to prep for applying to different medical schools. During this time I started teaching myself how to code because I was so intrigued by how mobile apps were made. Soon I realized that, on a daily basis, instead of studying for my MCAT I was staying up late to work on my latest app idea. This had me questioning my career path choice and I decided to look into computer science options. I found a great Master’s program at the College of Charleston which I enrolled in shortly after. I have been lucky to grow up with very supportive parents. At a young age, I was taught by example that I could do anything with enough hard work. My mom worked her way up the corporate ladder which allowed me to grow up knowing my gender wasn’t going to hold me back. To this day, I think about all the hard work and success she brought and do my best to follow in her footsteps. I have more of a group of heroes as opposed to naming one hero. Charleston Women in Tech is a meetup where women in the technology field come together and support each other through panel discussions, mentor groups, and networking. It’s amazing to see the amount of encouragement and inspiration in one room. CWiT also introduced me to CodeOn, one of my favorite programs I have ever had the pleasure to volunteer at led by the one and only Nina Magnesson. CodeOn offers free coding classes to underserved neighborhoods in the Charleston area. It has been both humbling and moving to be able to get kids interested and exciting about tech. IoT – The Internet of Things is the networking of devices. Anything from phones, cars, appliances, and electronics that can be connected and exchange data. This has been the year of the Alexa, Siri, Ok Google, and others and it will only grow from here. The power of data – We’ve all seen this trend of data breaches in the news but data collection isn’t all bad. Having multiple devices, whether it be phones, smart tvs, alexa, smart appliances, reduces our privacy but also gives us more personalized consumer experiences and better predictive algorithms – which can lead to positive outcomes for healthcare, finance, etc. One of the most important skills needed for a tech position is the willingness to learn. There are so many different software and technologies that companies use. You are not going to know how to operate every single one. Always be willing to learn and pick up new skills. Along with being open to learning new things you should also be open to change. As I said before, technology is forever changing. It is always important to keep up with the changes by always learning. What Technological Advancements Do the Next 10-20 Years Hold? Augmented Reality. AR is just starting to appear to the consumer but companies have been working and improving AR products that will soon hit the main stream. An example is being able to look at a sign in a different language and see it in your own language just because of the glasses you are wearing. Or imagine walking into a store and being able to see the clothes modeled on yourself through these glasses. Virtual Reality. VR has been out in the consumer world more than AR. VR will be used for anything from on-the-job training, to experiencing different cultures, and gaming. Imagine a doctor in training being able to perform a surgery through a headset or someone in the army training for a dangerous war zone. With all of this AR and VR I think the main point is that within the next 10-20 years we are going to get away from using so many screens and devices. Screens and devices may even become obsolete if the AR/VR industry evolves. I would love to see more programs created to make learning about tech available and interesting for all ages, genders, and races. Get excited because you are at the forefront and cutting edge of creating a better future! 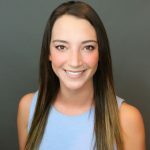 Liz Healy is a software developer at Micfo in Charleston, SC. 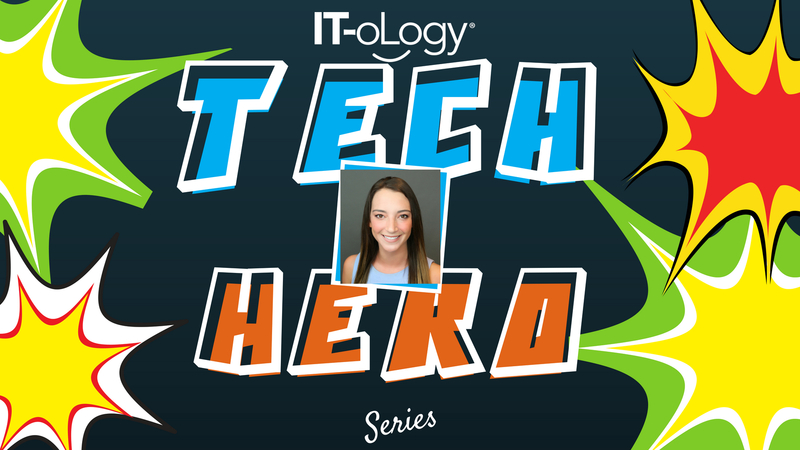 She is an IT-oLogy Tech Hero!